Honda Cars India Limited (HCIL), a completely owned subdivision of the Japanese multinational auto maker Honda Motor Company, had launched a facelift version of its CR-V Sports Utility Vehicle (SUV) in the domestic market in February 2013. The new Honda CR-V has been put in a stiff battle against the likes of other premium SUV models, such as Toyota Fortuner, Mahindra SsangYong Rexton, Ford Endeavour, Mitsubishi Outlander and Pajero Sport, Hyundai Santa Fe, Chevrolet Captiva and Nissan X-Trail. Mahindra and Mahindra (M&M) Limited, the country's leading utility vehicle manufacturer, is on cloud nine as its SsangYong Rexton units are selling like hot cakes in the Indian auto market. The SsangYong Rexton and Honda CR-V are pitched against each other in the country, with rivalry between them getting hotter every day. Honda CR-V battling it out with SsangYong Rexton in India. In terms of pricing, the SsangYong Rexton is offered in a price band of Rs. 18.1 to 20.3 lakhs, whereas the Honda CR-V comes within a dearer bracket of Rs. 20 to 24 lakhs in the country. Hence, Rexton has the upper hand over CR-V in terms of pricing. On the exterior front, the '13 Honda CR-V model flaunts some contemporary attributes, mesmerising design language and inspiring interiors. 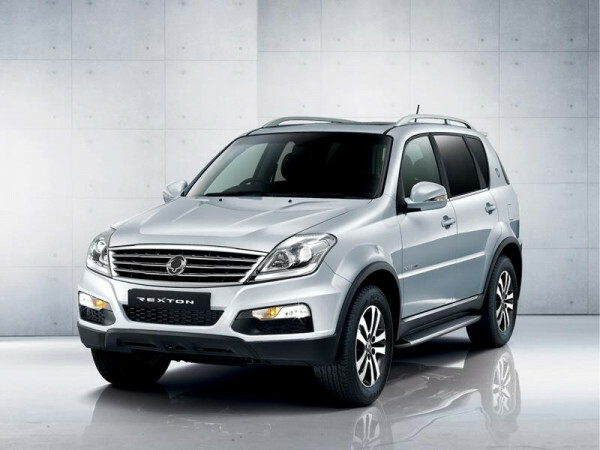 On the other hand, Rexton is a rugged beast and boasts off tough mean looks, mannish road presence and style statement. However, one may feel that Mahindra could have done better with the interior designing of the Rexton. Speaking of under-the-hood specifications of SsangYong Rexton, the stylish SUV is offered in two diesel models– RX5 and RX7 in the Indian auto market. The RX5 comes fitted with a 2.7 litre, 2,696 cc, RX270 XDi engine, which rolls out peak power and torque output equations of 162 bhp and 340 Nm, respectively. The high-end RX7 is powered with a tweaked 2.7 litre RX270 XVT diesel motor that produces an impressive power and torque outputs of 184 bhp and 402 Nm, respectively. On the other hand, the '13 Honda CR-V premium SUV incorporates a 2.0 litre, 4-cylinder, i-VTEC petrol engine powering its base version. The top end CR-V models are powered with 2.4 litre powertrains rated at 185 bhp in an All Wheel Drive (AWD) configuration. Evidently, no significant difference comes out in the comparison between SsangYong Rexton and Honda CR-V SUV models in terms of peak output power and torque ratings. However, the absence of a diesel powered variant in the CR-V range is a great advantage in favour of Rexton, since the diesel models comprise the bulk of sales recorded in the segment.